Eleven prizes were awarded for design during 2016 alone. 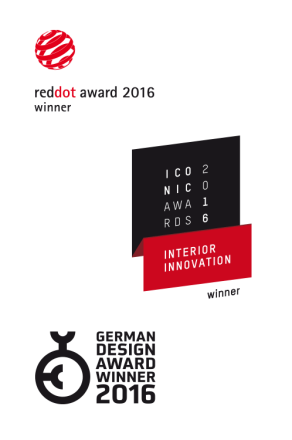 These included the red dot Design Award for Nightingale, the iF Design Award for Kitchen by Thomas, the German Design Award for Meta, Mitis and Domo, the Good Design Award for Squall and “Kundenliebling 2016” (customers’ favourite) awards, which all attest to the enormous expertise in design and the huge customer focus of Rosenthal GmbH. These contributed to more than 500 prizes and awards which the company has received since it was founded. 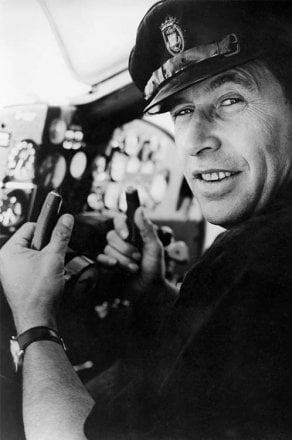 Philip Rosenthal, the great entrepreneur and visionary, would have been 100 years old on 23 October, 2016. His influence on Rosenthal, the porcelain manufacturer, was unlike that of any other person - it had vision and flair, and new patterns. 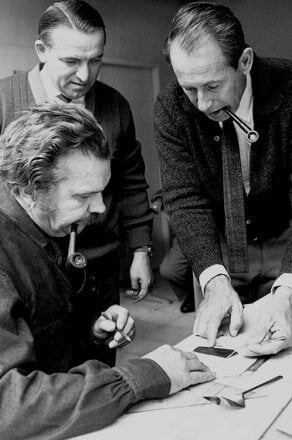 There was collaboration with designers, artists, architects as well as innovative approaches to the working environment and to how we interact. Rosenthal is celebrating this centenary with the extraordinary "Gropius goes Rosenthal" design and architecture exhibition in the KaDeWe department store (from 31.03.- 27.04.2016), a customer magazine about Philip Rosenthal, and an exclusive centenary collection. These are the smallest and most fragile items produced at Rosenthal: porcelain watch faces produced for its own collection of wrist watches. It takes great effort and craftsmanship to produce the 1.5 millimetre thick watch faces at the Rosenthal am Rothbühl factory. The watches really stand out with their delicate, glossy finish and unusual motifs and are the perfect gift. Rosenthal launched its own furniture collection in 2015. This is completely rooted in Philip Rosenthal’s tradition - working together with internationally renowned designers to create luxurious furniture which meets the highest standards of innovative design and quality craftsmanship. 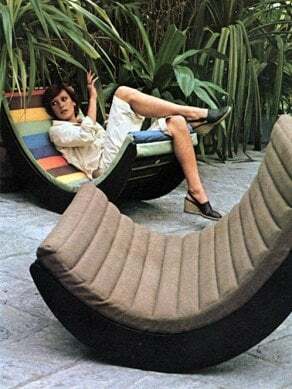 However, there are also new editions of old classic designs such as the “Nephele” chair which designers Angelo Mangiarotti and Chiara Pampo created for “Rosenthal Furniture” in 1978. The designs are by ADA, the long-standing Austrian furniture manufacturer which is now one of the most important furniture manufacturers in Europe and which carries out almost all of the work within its own company. Hutschenreuther has marked its bicentenary by reissuing the popular blue onion pattern. This pattern has been produced since 1730 and is based on oriental patterns. It has been a fundamental part of wealthy households since the mid-19th century. The pattern became commonly known as “Blue Onion” due to an inability to recognise the real motifs in the onion pattern. In fact, this pattern does not contain any onions at all - it contains pomegranates, peaches, peonies and a bouquet of asters and bamboo - symbols of fertility, wealth and immortality. 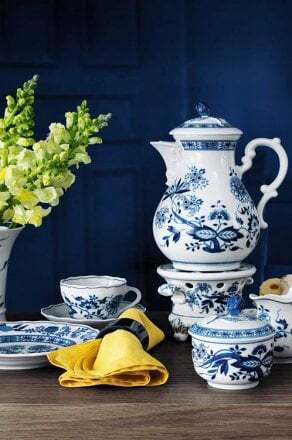 The fine arrangement of the details has been a distinguishing feature of the Hutschenreuther blue onion pattern since 1930. 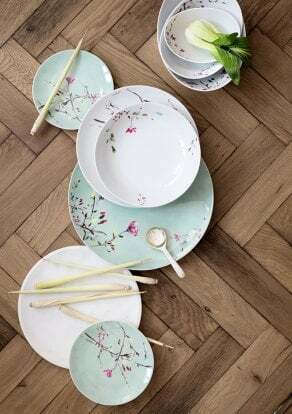 The timeless pattern meets the requirements of a modern household, and encourages the desire for a lavishly laid table because of its variety of pieces. After Hutschenreuther, the purchase of the Arzberg brand further complemented the brand portfolio in 2013. The Rosenthal Outlet Center in Selb opens up its doors and offers those who love porcelain more than 4,000 m² of unique shopping experience in the kiln hall of the former Rosenthal factory. The ambience with the tunnel kilns and original work stations which are still in place is marked by colour, light and style. The Rosenthal Outlet Center is transformed into something quite special with its broad pathways, clear presentation and places to take a rest. and offers a relaxing shopping experience. Rosenthal has been part of the Arcturus Group since 2009. Sambonet, Paderno, Ercuis and Raynaud also belong to this Group which is a global leader in the production of high-quality designer items for both the table and the kitchen at home and in the hotel sector. With Arcturus and Rosenthal, two great companies dedicated to design and innovation, high quality products and customer satisfaction have joined together, and both excel because they have a strong profile, are extremely well-known and are highly attractive to customers. During the year of its 125th anniversary, Rosenthal opened the Rosenthal Museum with a ceremony at the “Europäisches IndustrieMuseum für Porzellan (IP)”, the European industrial museum for porcelain. At the museum, visitors can discover and experience how the company has evolved since it started out as a porcelain painting business in Erkersreuth Castle through to the international lifestyle provider that it has now become. Several museums have now merged with the Porzellanikon and the Rosenthal department was completely revamped during the 2016 anniversary year. The new Rosenthal department at the Porzellanikon. The history and the origin of the porcelain is illustrated here. 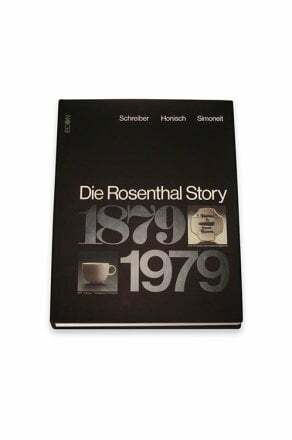 Rosenthal acquired a traditional and very well-known brand in 2000 when it purchased the Hutschenreuther name – which was founded in 1814. 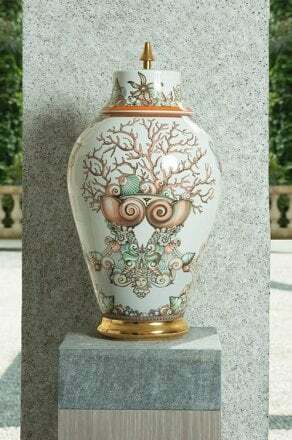 Carolus Magnus Hutschenreuther, the 20-year old porcelain painter, set the foundations for the first private porcelain factory in Hohenberg, North-East Bavaria in 1814. During the initial period, pipe bowls and ornate cups without handles as well as fruit bowls and cake plates were among the bestsellers. From 1859, a second factory was developed in Selb under the leadership of his son, Lorenz Hutschenreuther, and equally astonished both the industry and customers with its numerous innovations. In 1969, the two Lorenz and Carl Magnus Hutschenreuther factories which had been operating independently of one another were merged to form Hutschenreuther AG. The lion was designed by Paul Klee in 1919 and became the standard trademark for Lorenz Hutschenreuther, and 1814 represents the year that C.M. Hutschenreuther was founded. The Lots of Stripes gift collection. In 1997, Rosenthal AG entered into a strategic partnership with Waterford Wedgwood plc., Dublin with the British-Irish group acquiring a majority shareholding in the company. Within the group, both companies are global leaders for the dining experience as well as for gifts and art made of porcelain and glass. Gianni Versace’s original vision can still be found in the Rosenthal meets Versace designs which are now in the hands of his sister, Donatella Versace, who is the Creative Director. 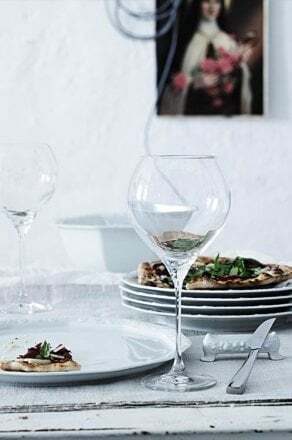 She has both extended the lines offered by the fashion sector of the Versace company and provided a new interpretation for many of the inimitable decors and motifs in Rosenthal meets Versace so that they are still contemporary and appealing in the 21st century. At the end of the 80s, the porcelain industry suffered a widespread structural crisis. The economic situation of the whole porcelain industry in Western Europe had deteriorated due to the end of the Cold War and the opening up of the markets. A change in consumer behaviour and the ongoing decline in real household income accelerated the recession in the porcelain industry. Rosenthal entered into a consolidation phase during the 1990s. Production was pooled together into two locations in Upper Franconia, and production and administration were modernised and improved. Rosenthal manufacturing now takes place at the Rosenthal am Rothbühl factory in Selb and the Thomas am Kulm factory in Speichersdorf. Approximately EUR 30 million were invested into automatic production facilities between 1998 and 2000 alone. This means that Rosenthal has the world's most modern porcelain production facilities and is well-equipped for international competition. Philip Rosenthal proved himself to be extremely forward-thinking when he added a furniture collection to the classical range of porcelain in 1972. Furniture is manufactured for the “Rosenthal Furniture” label in a factory in Espelkamp in North Rhine-Westphalia. Designers such as Gu?nter Ferdinand Ris, Burkhard Vogtherr and Vico Magistretti have designed distinctive pieces such as the Sunball globe chair, the range of Hombre household and contract furniture and the Pan chair. 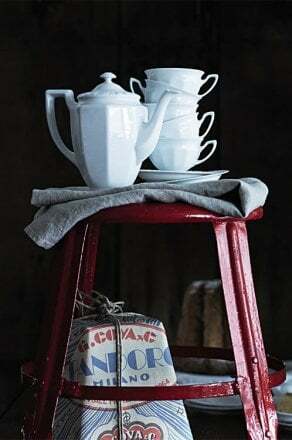 What is pared-down and concise in its shape, is to be found on a beautifully laid table and is connected with Bauhaus? TAC – an icon in tableware. Designed by Walter Gropius and his Boston office, The Architects Collaborative (TAC ), it is firmly in the Bauhaus style. Gropius' interest in porcelain was aroused during the planning phase at the Rosenthal am Rothbühl factory. At first, Philip Rosenthal did not even dare to ask the famous architect for a design. He apparently said, “it would be like inviting the Pope to my daughter’s baptism.” It was a good thing that he did sum up the courage. 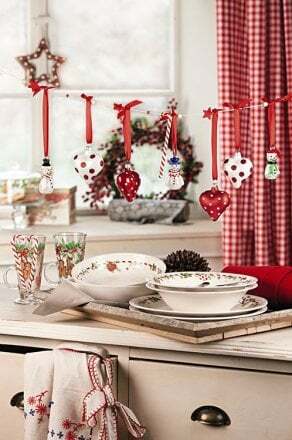 interior design and tableware. At the same time, Rosenthal porcelain continues to be made in state-of-the-art production facilities in Germany, either in Selb or in Speichersdorf. The new "Rosenthal am Rothbühl” porcelain factory was designed by Walter Gropius, built in 1967, and even wrote architectural history. Modern production facilities and automation ensure that the pieces are manufactured with precision and that the quality remains consistent. In 1961, Philip Rosenthal set the course for product development with the development of the “Rosenthal studio-line” brand. 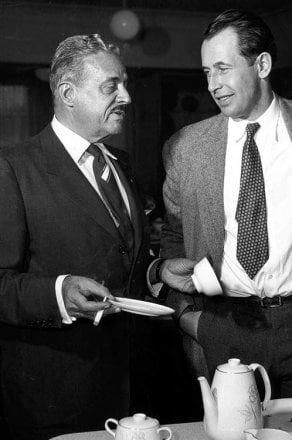 Long before design was in vogue, Rosenthal had already been working with contemporary artists, designers and architects, and amongst these were famous names such as Raymond Loewy, Walter Gropius, Tapio Wirkkala and Sebastian Herkner. To date, more than 150 artists have designed unique collections for Rosenthal and about 500 design prizes and numerous testimonials in internationally renowned museums and galleries attest to the leading role that Rosenthal has continued to play in innovative design. 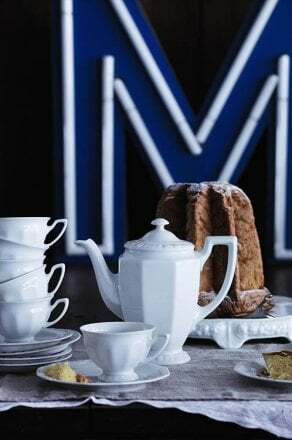 Rosenthal proceeded to develop its own Rosenthal sales departments during the 1950s so that it could showcase the new products with their contemporary designs in an appropriate setting. The first Rosenthal Studio House was opened in 1960 in Nuremberg. For Rosenthal, the Studio Houses represent an important pillar in the distribution network and contribute to the public image of the Rosenthal brand. 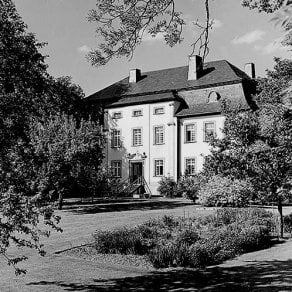 In 1953, Rosenthal AG purchased Erkersreuth Castle. The estate had been built by the von Lindenfels family in 1748 but had fallen into disrepair and was in need of renovation at the time. The castle gained its present layout whilst the building was being restored. The basic idea behind the design was the contrast between the “really old” and the "really new”. This meant that whatever could be preserved, was preserved. Whatever could not be preserved was replaced by “something contemporary and new”. The redesign was performed by artists who worked for Rosenthal and produced the limited art editions. This is why there is an impressive porcelain light relief by Günter Ferdinand Ris in the entrance area, the “Red Hall” with its coloured, graphic alphabet by Victor Vasarely, and the Copper Room with original printing blocks by HAP Grieshaber. In 1950, Philip Rosenthal, son of the founder of the company, joined Rosenthal AG. He started off as an advertising manager, then became responsible for managing product design, after which he became Head of Sales. As CEO, Philip Rosenthal had a crucial influence in the development of Rosenthal AG between 1958 and 1981. On the company’s fiftieth anniversary in 1929, its success story could be read in terms of figures: 7,000 employees were producing porcelain that was elaborately crafted by hand. The “Rosenthal” brand had become famous all over the world and was a highly sought-after export. The “Third Reich” also represented a turning point for Rosenthal AG. Privy Counsellor Philipp Rosenthal had to leave his company in 1934 because of his Jewish ancestry. 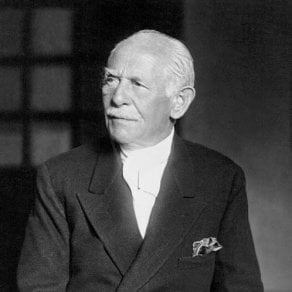 He died in 1937, at the age of 82. Philipp Rosenthal had two daughters from his first marriage before Maria gave birth to Philip, the long desired son and heir. 5,000,000 cups and 15,000,000 plates during the past 25 years - “Maria” is one of the best ever selling dinnerware designs. There are love stories which are so beautiful that you can hardly believe them. Just like the story of Philipp Rosenthal and his wife Maria who he married in 1916. 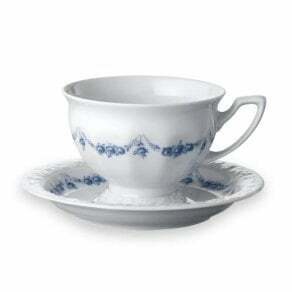 The Privy Counsellor adored her so much that, without any hesitation, he named a porcelain service after her. He had no idea it would become a bestseller to be sold by the millions. The creation of the factory’s own art department for the production of porcelain figures emphasises the high standing and appreciation for the Rosenthal brand name. Until that time, an art department was a privilege reserved for royal factories. Rosenthal purchased the F. Thomas porcelain factory which had been founded in 1904 in Marktredwitz. In 1960, production moved to the newly built "Thomas am Kulm" factory in Speichersdorf. The factory’s façade with its geometrical patterns was designed by the Italian architect, Marcello Morandi. On its 25th anniversary in 1904, Rosenthal already had 1,200 employees. The welfare of his workers was extremely important to Philipp Rosenthal. Rosenthal’s employees, who were already the most highly paid in the whole industry, received fully paid holidays - and this was before there were any regulations in this respect. In addition, he built accommodation for workers and rented it out at exceptionally favourable rates. He also provided the finance to set up nurseries and allotment gardens. The company changed its name to Porzellanfabrik Ph. Rosenthal & Co. AG, Selb and built an additional production facility in Kronach / Upper Franconia. 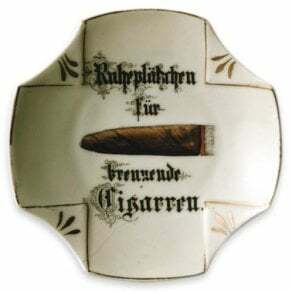 The “little resting place for burning cigars” ashtray was the first big commercial success. Philipp Rosenthal was seventeen when he set off for America and progressed from being a dishwasher to becoming a salesman for porcelain. He was full of drive when he returned to Germany in 1879, and laid the foundations for his company when he set up a porcelain painting business in Erkersreuth Castle in Selb.